SNOW is the one word that captures the magic at Fernie. Located in the British Columbia Rockies, Fernie Alpine Resort is the ski destination that powder-lovers dream of, with an average annual snowfall of 29ft! The snowfall has long been attributed to the lore and legend of “The Griz”, a legendary, fur-clad character patrolling the peaks, toting a musket that he uses to fire into the clouds, generating Fernie’s signature snowfalls. There is limitless terrain with 2,504 acres spread over 5 spectacular open bowls, ridges and glades. There is endless adventure on this mountain. Serviced by 9 lifts, this varied terrain creates a true mountain playground that appeals to skiers and snowboarders of all ages and abilities. Make sure to join one of the daily tours of the mountain for a small fee, guided by locals who aren’t afraid to share their secret stashes with our guests. On-mountain facilities include café/restaurants, lounges/bars, grocery and shopping outlets. The charming historical town of Fernie, with turn of the century architecture is only minutes from the base of the ski area, providing a variety of restaurants and shops to enjoy. 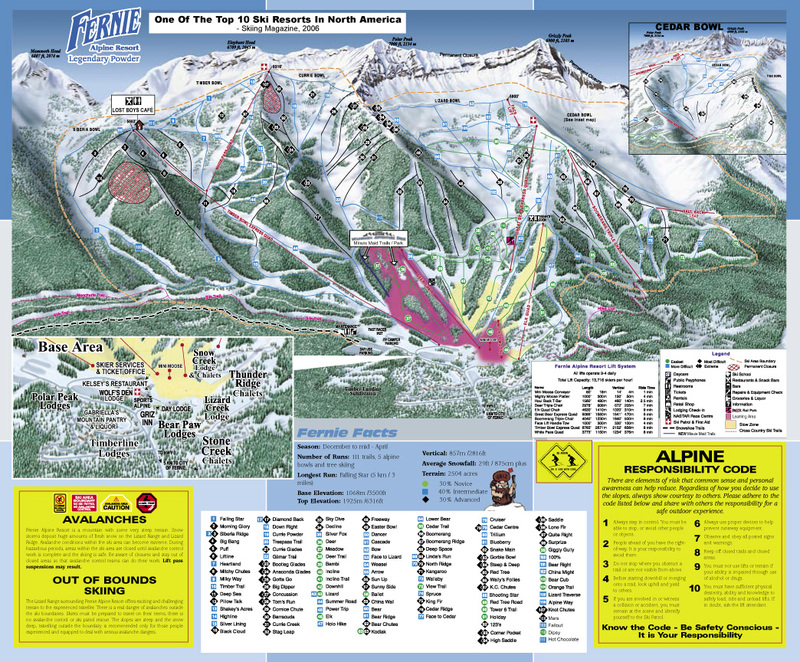 Fernie Alpine Resort is just waiting to be experienced and explored!